This Super Combo features a full day at the Biltmore Estate followed by Dinner and The Candlelight Evening, then two straight nights in Pigeon Forge with wonderful dinners and music shows. You may ask for customization if you want to see different shows. Day 1 – Asheville – Candlelight Tour of the Biltmore – Travel today to Asheville, NC. Check into your local Asheville hotel for one night stay. This evening enjoy a Candlelight Tour of the Biltmore Estate. Firelight and candlelight fill Biltmore House with a warm glow and accent delicate ornaments and priceless treasures. Get into the holiday spirit with choirs singing European carols, vintage ballroom dancers, and dramatic Christmas readings. The Front Lawn of Biltmore House sets the scene with a sparkling holiday illumination of evergreens bathed in thousands of twinkling lights. Your group will also enjoy the Biltmore Christmas dinner at Deerpark Restaurant or The Stables Cafe. 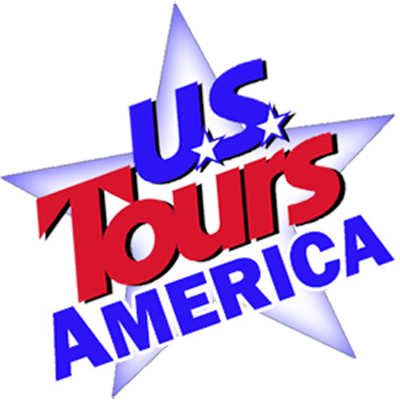 Day 2 – Daytime Tour of Biltmore Estate – Pigeon Forge – Dinner Show – Today you will again visit the Biltmore Estate. Christmas decorations seen by daylight give you a whole different view. You will also get a chance to visit the Biltmore Winery and Antler Hill Village. Delight in free wine tastings and a redesigned self-guided tour to learn how we make award-winning wines. Then visit Antler Hill Village where you’ll experience more of Biltmore’s story. This is where estate families socialized a century ago. Travel to Pigeon Forge, TN this afternoon. Check into your hotel for a two night stay. This evening enjoy your choice of Holiday Dinner Shows. Day 3 –Titanic Museum – Holiday Shopping – Dinner Show – This morning, visit the Titanic Museum. It is a gateway to 1912, where First-Class Maids and a variety of Officers and crew members bring the stories of the fabled ship and its fascinating passengers to life by retelling their stories in vivid, dramatic detail. The priceless artifacts throughout the museum shed additional light on the lives of those passengers and crew members when guests see the actual belongings of those on board and artifacts that sailed on Titanic’s maiden voyage. The afternoon is filled with local shopping at the Incredible Christmas Place and The Island. Tonight, you enjoy another fun Holiday Dinner Show.